Hello all. It is Thursday night and we are in Zurich, Switzerland. It was hard to get off the ship and back to reality this morning. The others stayed in Venice for one more day and we headed to the airport. We didn't leave Venice till 3:00 for the short flight to Zurich and got to our hotel late in the afternoon.....but first.....i need to backtrack and do some more catching up. This will be without pictures. Will do pictures when i get home and have unlimited time on the computer. to the 4 wheeler rental shop so that we could see more of the island. John and I got separated immediately from the group - the traffic was horrendous - but once outside the town, we enjoyed the churches and scenery. Back to more shopping and looking around before heading back to the ship via the 500 steps dodging the donkey doo the entire way down. it was a great day.......not at all what i expected. a thrill to be there. Wednesday was a day a sea...finally after a week of constant sightseeing, we could just relax and enjoy the last day. It was a fun cruise....good company.....the boys met kids their age - not too many though - mostly the older crowd....and that made the trip enjoyable for them. store you can think of.....the prices were displayed in the window.....whew......too much for our taste, but it was fun looking. we saw the lake just as the sun was setting.....can't wait to load some pictures. We bought a 24 hour pass that gives us access to all trains, trams, buses, etc. which will save us much money......tomorrow we will do a city tour on a tram, and then head outside the city to see some beautiful sites. We are walking back to the hotel and starving, hoping to see a McDonald's since we know that we can get a meal at a fairly reasonable price. The exchange rate here is about 1 to 1 with the dollar......so we walk into Micky D's and the price for a big mac meal was 11.30 franc.....which is about 11.00 US......so there you go.....we have it pretty good at home. Found out that Matt Lauer was in Istanbul the same day that we were there doing his week of "where in the world".......he was at the blue mosque about the time we were eating lunch....wish we would have known because we, of course, would have hightailed it over there to be on TV. I believe that we will be ready to go home on saturday......it is hard being in a city where we don't speak the language and they are not too anxious to speak english. we are tired, but will have much to see tomorrow.......good night from Zurich.....it is 3:30 p.m. your time. The weather has been warm and sunny every single day................PERFECT!!!!!! mykonos ıs a beautıful resort island for the rıch and famous. all the buıldıngs are whıte stucco. the streets are very narrow. the cıty was purposely desıgned ın a maze to protect agaınst pırate raıds. cars wıll sometımes drıve rıght up the streets...we would call them sıdewalks.....not much to do and see....dıd a lıttle shoppıng and back to shıp. the bottom two pıctures were taken ın kusadası today. we walked around the grand bazaar. many tourısts here as two cruıseshıps are ın. the cıty has changed much sınce we had the opportunıty to be here four years ago. off to santorinı greece tomorrow......we wıll be rıdıng donkeys...yıpee!!!! hagıa sophıa mosque the oldest mosque ın the city. saw the underground cısterns of the roman perıod. 1 mıllıon cubıc meters of water held there. saıled at 11 pm for mykonos greece. It is Saturday evening and haven't been able to update till now....hopefully, i can download some pictures once we get to an internet cafe on land......Wednesday, we were in Athens...what a beautiful place......and crowded!!!!!!!! There is a new transit system in place built for the Olympics four years ago and that has made the city more accessible to people. We did a WALKING tour and saw so much.....it has changed since we had the chance to be there before the Olympics. The Parthenon is still undergoing refurbishing, but what a sight!!! We saw the Olympic Temple of Zeus, the Stadium used for the first Olympic games and much more. Thursday, we arrived in Istanbul, Turkey at 4:00 p.m. and ran off the ship to the grand bazaar and spice market. What a city......15 million people!!! Very narrow streets....cars everywhere....traffic jams!!! They are very friendly, courteous people. The bazaar was very large.....corridors going every which way and merchandize galore with the merchants wanting to dicker and bargain. Dave, Brett, Debra and Melanie chose to have a turkish bath and the rest of us opted out of that and found a turkish restaurant......enjoyed the atmosphere...not the food. We had spent the night, so up early Friday for a day long tour of the city.......will write about that tomorrow.......we are really enjoying the trip.....the weather has been warm and sunny everyday....hope all is fine at home.......tom and sheri....hugs and kisses for macey and connor! well, it is tuesday afternoon and we are at sea for the day. i haven't been able to update the blog until today and i can't upload the pictures....hopefully, another day. The ship let Venice Sunday evening and we sailed to Split, Croatia where we spent part of the day on Monday. It is the second largest city in Croatia, a population of 200,000. It is a beautiful seaport and in their infancy as far as dealing with tourists, but it was interesting and again, we enjoyed beautiful sunny weather. The main attraction is a palace, built in 295 A.D. by the Roman Emperor Diocletian as a summer place.....700,000 square feet....there is much history there.......much of the palace is used as apartments now and there are many shops and cafes inside as well. Well, hope all is well at home......we are learning to relax and read and do a lot of nothing. Well, it's time to get this blog going again. 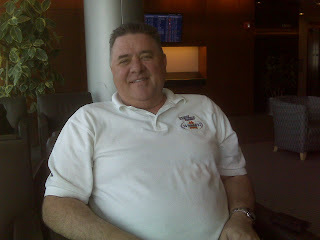 We (John, Dave and I) are on our way to the Mediterranean for cruise with Mark, Debra and Brett. It should be a fun time, but will be missing our other kids. 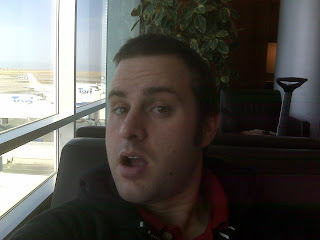 We are in Denver right now waiting for an 11:30 flight to D.C. and then on to Zurich. Be sure to check this blog over the next two weeks!!!! With Dave's help, I will be able to enter data and pictures!!! Yay!! 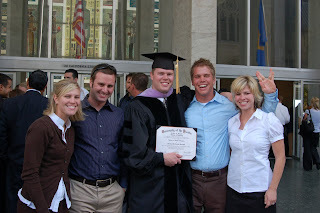 Well, I finally have a blog, thanks to my wonderful computer savvy son, Dave!!!! the birth, also in April, of our second grandchild, Connor. He is now 5 months old and a BIG healthy happy boy. Can't continue without adding the other half of that duo, our beautiful granddaughter, Macey, who is now 2 1/2. She and I spend every Wednesday together having a "grammy" day. Connor and Macey had so much joy to our lives. 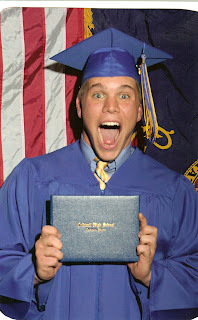 May brought Paul's graduation from Caldwell High School - he is at Boise State and loving it. that Connor was blessed. It was fun to have lots of family around. In July we drove to SLC to visit with Mick and Jane - they are now proud owners of a Honda Element. Enjoyed having some of my family here for a reunion the end of July...we are a crazy bunch!!!!!! Love them all!!!! 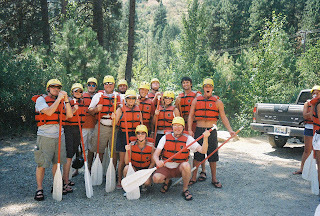 Some of us enjoyed an afternoon of white water rafting on the Payette River. August came and I finally surfaced for some air. Things slowed down a bit....we saw David and Paul off on a trip to Hong Kong and Japan. Needless to say that they had a ball!!! in California and give his music career 100% effort. We emptied the nest for about 5 minutes and we love having her here, but she and Mick miss each other. It is nice to have 4 of our kids close by. We have been able to enjoy dinners together and fun times. We miss Susan and Seth. They are in Rexburg working and going to school. We feel blessed. Life is good and full of surprises! John and I are leaving tomorrow for a trip to Amsterdam coupled with a week long cruise to ports in France, Portugal and Spain. 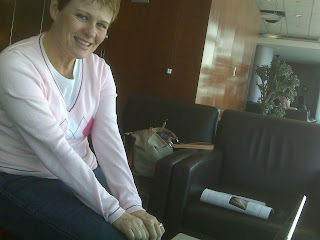 I have been working hard to get this blog going so that HOPEFULLY I can download pictures as we enjoy our travels. Now I will push a button and hope it works......this is the start of life about us.